Top three in the GM Group (from left) GMs Simen Agdestein, Evgeny Postny, Andrei Istratescu. 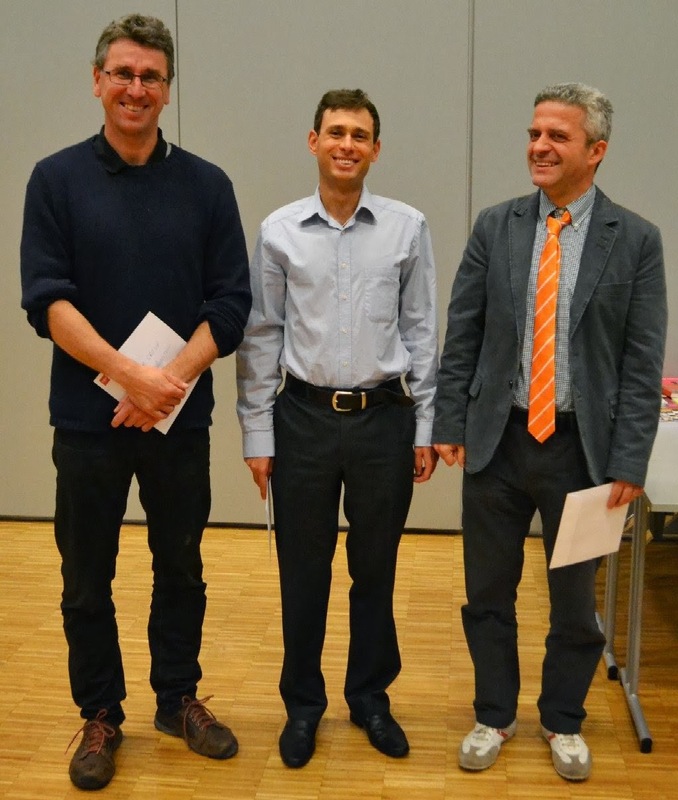 GM Simen Agdestein of Norway has won the GM-group ahead of GM Evgeny Postny of Israel and GM Andrei Istratescu of France at the Oslo Chess International (renamed Håvard Vederhus' memorial) that was held from September 29-October 6. IM Benjamin Bok of the Netherlands made a GM-norm, while WFM Raghavi Nagarajan of India fullfilled her WIM-title by passing 2200 in elo. 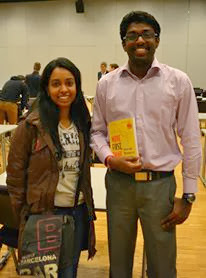 Also playing was India's B Adhiban who finished tenth with a fine showing. The elo-group was won by Norwegian junior Jens Hjorth Kjølberg. Talented Indian players N Raghavi and B Adhiban. You can find lots of nice photos of the event and chess in Oslo at the Facebook page Stormester & Stormester. Don't forget to Like their page! 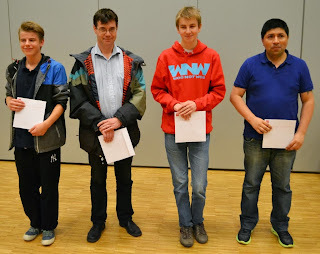 Grandmaster Agdestein beat GM Leif E Johannessen in the last round to conclude the event with 7,0/9 points continuing his excellent chess performance after staying ahead of the field at in the Sant Martí Chess Open and Telenor World Cup Blitz. He narrowly missed the title at the Dieppe Open. 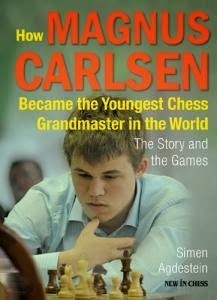 Don't forget, GM Agdestein is also the author of a fascinating book on World Chess Championship challenger Magnus Carlsen! Click on this link to read a review. Here is a nice game from the tournament. You can find all the games at the official website. It's just the beginning and this topic is going to be getting hotter by the day. Stay tuned for selective updates from our side. Kirsan Ilyumzhinov has commented on former World Chess Champion Garry Kasparov declaring his candidacy for 2014 FIDE presidential elections. 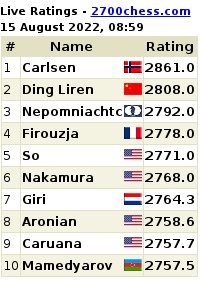 Here are the comments: via www.chess-news.ru. "I have been getting the majority of votes since 1995," ITAR-TASS quotes Ilyumzhinov. "If talking of 2010 elections in which my rival was Anatoly Karpov, who was actually actively supported by Garry Kasparov, I had even double advantage. The same happened in 2006. There are no doubts that the very same thing will happen next year too. Well, maybe someone else will present his candidature today... Isn't it nice that sooner or earlier all world champions are trying themselves as presidential candidatures? Let's suggest them to get together - 12th, 13th, 14th champion - and run for the post together." "I had several tasks when I was nominated in 1995: to save FIDE from bankruptcy, to unite chess world, to popularize chess as a sport, to make chess recognized by the IOC. Those tasks were accomplished. Now we only need to have chess at the winter Olympics. Chess in Schools project is also developing. So, there's still a lot of work to do, that's why I agreed to nominate myself for one more term. This is also my decision. As regards to Kasparov's nomination - he is always much into PR. Once he wants to be Russia president, then he tries to be the leader of opposition. It's clear that now he needs FIDE president post for solving his own political tasks. It's doubtful that chess players will support him. We have a different motto - "Gens una sumus" - "We are one people." 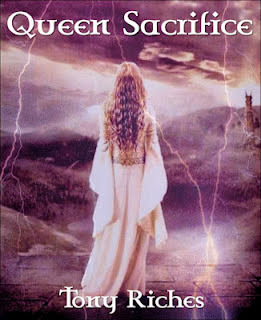 Well, in general it's pleasant for me to see the return of the prodigal son, it seems like my work for chess development for 18 years wasn't done in vain." Kasparov Explains Why his "Algorithm Will Work for Change in FIDE"
Former World Chess Champion Garry Kasparov announced his candidacy for the FIDE election 2014 in Tallinn, Estonia yesterday. 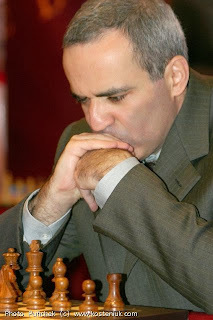 You can keep track of Kasparov's team and campaign at the official website: http://kasparov2014.com/. 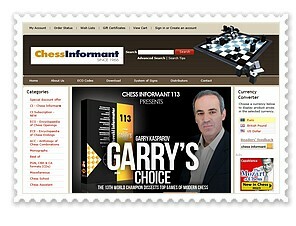 Here's an exclusive Chess.com video interview (must-watch at that) right after the Kasparov candidacy announcement. Former World Chess Champion Anatoly Karpov had, in June this year, said in an interview to Swiss newspaper 'Nasha Gazeta' that he thought Garry Kasparov would run for FIDE presidency in 2014. 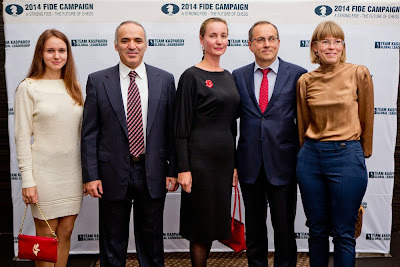 A few minutes back, Kasparov formally made the announcement at the 84th 84th FIDE Congress in Tallinn. The news is already all over the Internet and we first picked it up via the Chess-News.ru twitter. The current President of FIDE Kirsan Ilymzhinov had already announced his candidature earlier in the morning session of the Congress. Ilyumzhinov also announced that he would be further putting in one million euros for the Chess In School program. Kirsan Ilyumzhinov has been President of FIDE since 1995. He won a second time in 2010 after defeating Anatoly Karpov with 95 votes to 55. Later, Karpov and Ilyumzhinov had supposedly buried their "differences". Garry Kasparov became the World Chess Champion in 1985 after beating Anatoly Karpov. Kasparov announced his ticket on Monday and his team as including Rex Sinquefield, Ignatius Leong, Afrika Msimang, Jan Callewaert and Sheikh Mohammed Bin Ahmed Al Hamed. Karpov had, in June, said: "I... (hesitates). You know, I am so fed up with Ilyumzhinov's team that... I have a good relationship personally with Ilyumzhinov, but his team is totally corrupt, absolutely useless in managing chess. They, however, set up a system that struck on the image of the International Olympic Committee in Salt Lake City, as well as on the image of different federations. I think exactly this system has reached its peak in chess. Unfortunately, this isn't actively discussed and covered, but something has to be done with the current situation - apart from making useless decisions, they also intervene with chess rules, which is intolerable." In another question by 'Nasha Gazeta' on whether Kasparov could count on support in Russia, Karpov had said, "No, he can't. Moreover, the Russian Chess Federation will work against him, this is obvious. When I was running for FIDE presidency, against Ilyumzhinov, the federation first voted for me. Russia supported me and then "changed" the position of federation under wild pressure." The FIDE Chess game begins and we thought all the excitement would end with the Anand vs Carlsen World Chess Championship 2013 in Chennai. 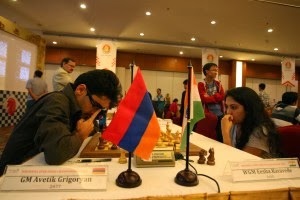 Which chess country can boast of the strongest national chess tournament in the world? It has to be Russia. The Russian Chess Superfinal opening ceremony was held in Nizhny Novgorod today. The event was attended by the sponsor of the tournament Gennady Timchenko, the Chairman of the Board of RCF Ilya Levitov and Deputy Governor of the Nizhny Novgorod region, Dmitry Svatkovsky, Olympic champion in 2000 on the Olympic pentathlon. Gennady Timchenko and Ilya Levitov told the audience that the project "Chess in museums" will continue, and the Russian Chess Federation, together with the charitable foundation "Ladoga" and will continue to promote chess in the Russian regions. 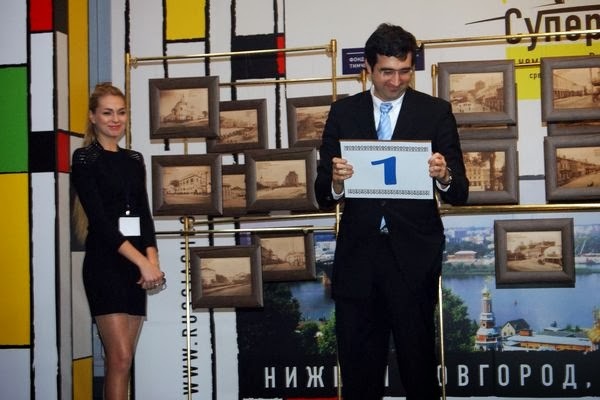 Former World Chess Champion Vladimir Kramnik said so far he has not won the Russian national chess championship and that will be a strong incentive for him to fight for first place. Dmitry Svatkovsky welcomed the guests to Nizhniy Novgorod expressed the hope that the Super Final will help promote chess in his hometown. Kramnik - A. Shomo, P. Svidler - Ya Nepomnyashchii, D. Andrejkin - S. Karjakin, A. Goganov - Vitiugov N. and A. Motylev-E. Inarkiev. D. Charochkina - Kosintzeva T., A. Bodnaruk - Kashlinskaya A., V. Gunina - Goryachkina A., B. Kovanova - Kosteniuk, A. and N. Pogonina - E. Kovalevskaya. After the draw, a concert was organised with performances by Honored Artist of Russia, pianist Nikolai Lugansky and outstanding cellist Alexander Knyazev. The live broadcast of the event will be held daily at the official Russian Chess Federation website from India time 4.30 pm.